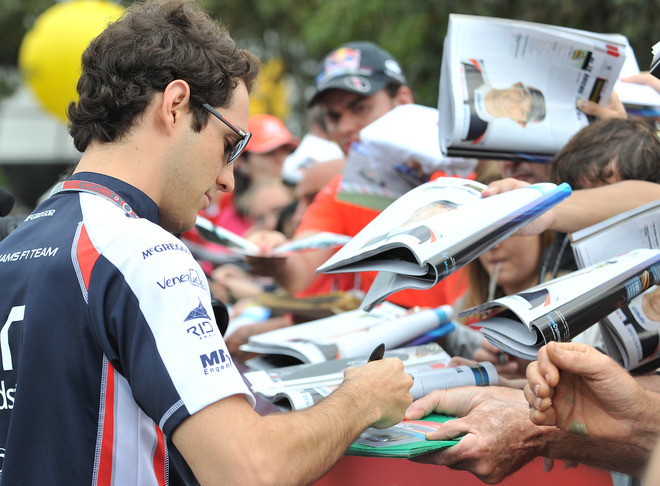 After the the opening round of the 2012 Formula 1 season the teams will now fly straight from Melbourne to Kuala Lumpur, Malaysia. The 2nd round of the season is a week after the opening Grand Prix which is tough on the teams and drivers, but if you are in good shape you'll look forward to getting another solid race finish. On the other hand if you're struggling seemingly like Ferrari, you'll be wishing there was a weekend in-between so you could develop the car. 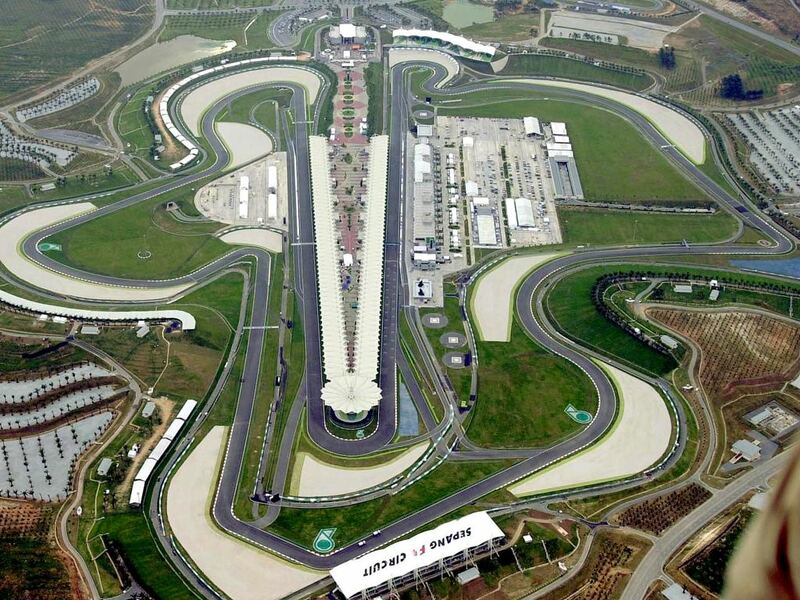 Kuala Lumpur is a drivers favourite as the twisty corners offer great direction change for the car, the addition of hot temperatures to this also makes fitness levels important and tyre maintenance even greater than in Melbourne. One team who this may not affect is Sauber Ferrari. 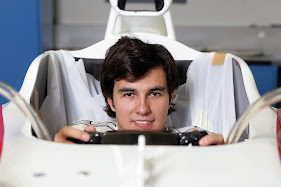 They demonstrated for the second season in a row that there car is very kind to the Pirelli's by Sergio Perez picking up a solid 8th that could have been a 6th, and Kamui Kobayashi his team mate actually picking up the 6th. One of the main characteristics are two long straights where the straight line speed advantage of Mercedes & Mclaren could help them in the battle against Red Bull, who struggled to secure a high top speed in Melbourne. Although the Mercedes couldn't threaten during the race, in qualifying where the use of the drag reduction system (DRS) is available when the driver wishes, the addition of Mercedes rear wing f-duct will bring them up the pecking order again. Although Red Bull may not have the strongest straight line speed through the speed traps, they have in the last two years shown immense stability through long sweeping corners - such as Istanbul turn 8. The banning of off-throttle blown exhausts may hinder Red Bulls grip through corners but im sure they will still be strong through the weekend despite there lack of a top speed and banning of off-throttle blown exhausts. In past years the weather has played a big part in the race weekends with high temperatures & sudden downpours its hard for teams to gauge how the weekend will unfold. Although the weekend is weather forecast is for dry high temperatures, a sudden rain storm can occur. The predicted high temperatures will play a key role in the weekend in multiple ways. 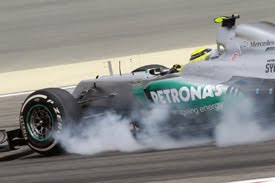 The Pirelli tyres - despite not degrading highly in Melbourne - will suffer from the high ambient and track temperatures, which in theory should create more graining and degradation as the surface of the tyre raises in temperature. 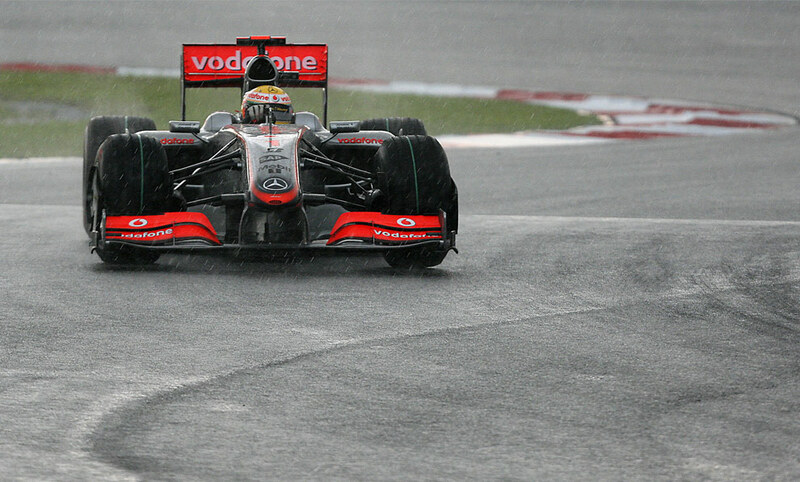 The weather also plays a huge part for the team including the driver. The drivers have to make sure they're physically prepared for the harsh conditions. This is because the stress of the forces and continuous strain of long corners creates a large amount of dehydration. 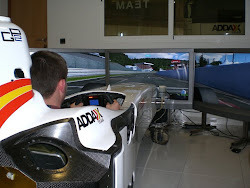 In addition to drivers the team itself have to be aware of the high temperatures. Not many people can truly understand how hard and long mechanics, engineers and the whole squad work throughout the season. This is made worse by scorching temperatures which can create unpleasant working conditions, stress and illness. 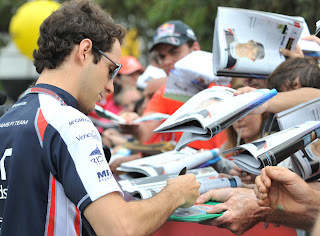 Despite not qualifying for the Australian Grand Prix HRT will be determined to race in Malaysia. Before anyone bashes HRT its important to remember the team is under major reconstruction and mainly the car had no preseason testing due to earlier crash test requirements. The lack of testing would have left HRT counting on FP1 & FP2 for testing but the presence of rain would have scrapped those plans. One team who had problem with HRT was Ferrari as Alonso was blocked in Q1 at Albert Park, but realistically that was the least of there problems. The Maranello based squad had what appeared to be major issues with rear grip on the F2012. This is reportedly due to there exhaust system which Stefano Domenicali says will be upgraded at the beginning of the European season at Barcelona but if anyone runs away with the championship could be to late. Another team who will be looking to score points in Malaysia will be Williams who had a strong weekend but found themselves pointless & finish-less. Bruno Senna was working his way up the field but had a collision with struggling Felipe Massa - this accident was later called a "racing incident" by FIA stewards. Team mate Pastor Maldonado had a strong qualifying and was fighting with Fernando Alonso in the last laps when he ran onto the kerb on the exit of turn 6 and spun into the concrete wall dropping vital championship points for Williams F1 Team. Its fair to say coming into the second round of the season there is going to be a lot more action in Kuala Lumpur. We could see perhaps another double DRS zone also and there are many variables elsewhere. 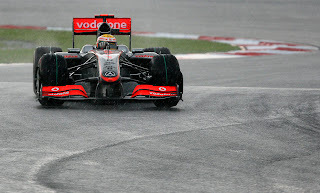 I still believe McLaren have the fastest car despite Red Bull showing good race pace. Along with this I feel even if a Mercedes or Lotus Renault jumps ahead in Qualifying, the McLaren car has the pace in hand to overtake them and beat the rest of the field in a race and with Lewis feeling angry after loosing to Button & Vettel I feel he will show dominance in Malaysia. After learning from his mistakes of Q1 in Australia I believe Kimi and the pace of the Lotus Renault should be able to mount a challenge to the Mercedes and maybe the McLaren's & Red Bull's if either of them have a problem. After showing once again that there car is soft on tyre degradation I believe Sauber will be able to perform in a race which is bound to have high temperatures and I assume tyre issues. 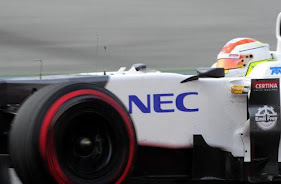 Also Kamui Kobayashi scored 7th in Kuala Lumpur last season. What are you expecting to see in Malaysia? Let me know by a comment on this blog or Tweet me via the link below.